← Rode iXY for Lightning Unboxing and initial recording test. Around this time last Year word leaked that at IFA Berlin, Sony were about to unveil a “revolutionary” device which would dramatically affect photography and video with smartphones. Sure enough at the IFA exhibition Sony announced the QX10 and QX100 smart cameras. As soon as they became available I got my hands on them to test out and I have to admit I was initially very impressed with the QX10- 10x Zoom – this was a big step forward for Smartphone photography. 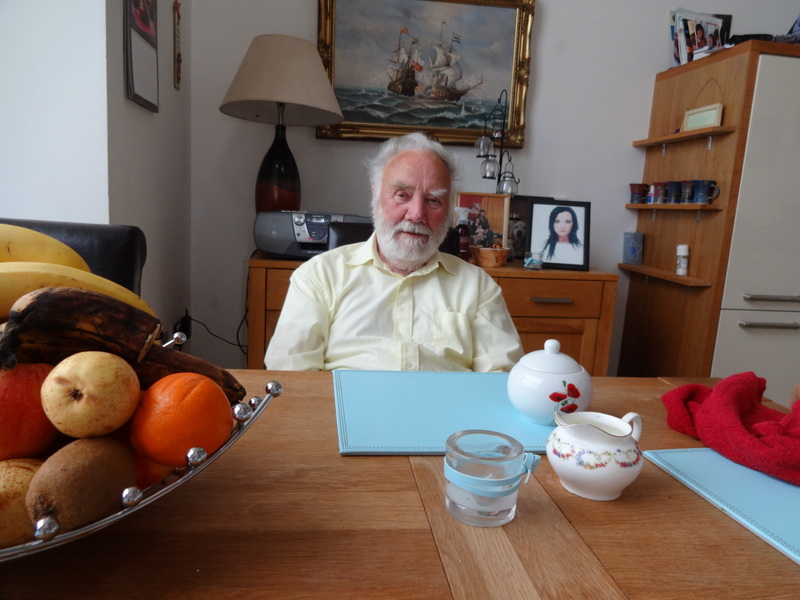 When you take a photo with the QX10 it transfers a low resolution version to your camera roll – these two shots of my dad are those low res images at the wide and zoom end of the lens range. However the issues soon became apparent when trying to shoot fast moving action – the image on my iPhone via WiFi connection between the QX10 and my iPhone was at times 2-3 secs behind the camera – this made shooting any fast moving action all but impossible in video mode! I just noticed today (though these may be on the market for quite some time) that Kodak have released and previewed what I can only call “a clone”. The Kodak SL10 and SL25 are to all intents and purposes copies (sorry to be brutal but that is how it appears) Click the link above to see the specs. The Vivitar ViviCam IU680 looks similar but is actually a different and more interesting concept. The IU680 is the “camera” body and it will accept lenses from the Vivitar camera range. According to PhotoRumours.com the IU680 was shown as a prototype at CES but has not actually entered production. Had the good fortune to get a loaner from Glen Mulcahy of the the DSC QX10 smart phone camera attachment. I used it with an iPhone 4 and cut on an iPad with pinnacle for iPad. First impressions were that the QX10 is a very cool and very innovative piece of kit. It’s been a while since I have seen something with no rivals in the market. 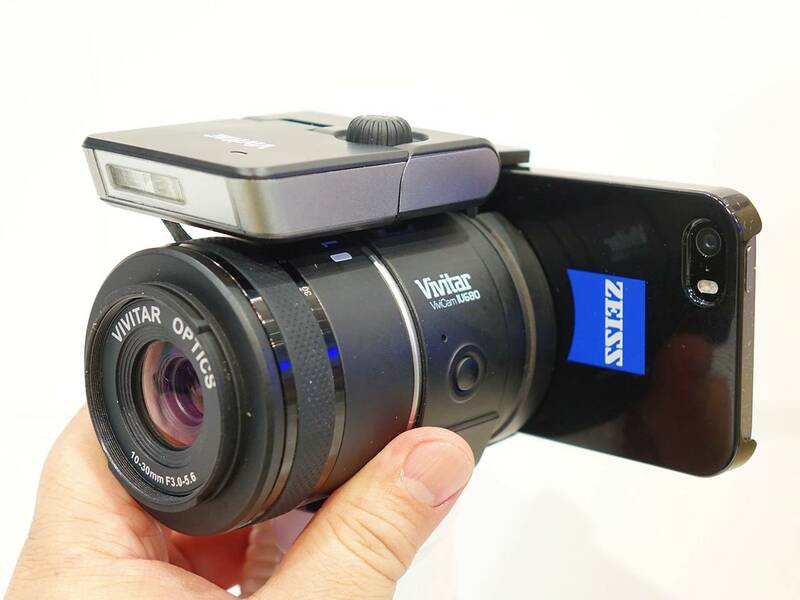 The QX10 is a camera attachment that uses your smart phone as the control and viewfinder. 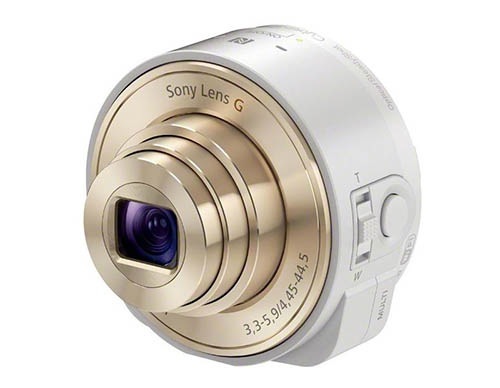 Its looks just like a lens but it hides a small micro sd recording function also. I tested it really for video and not photos. So my thoughts below are about moving pictures. So, is it any good? Well the answer is yes. The image quality for video is very good. In video mode it is on fully automatic so there is no control but the results are very good. I would compare the quality of the auto settings in the QX10 as on a par if not better than the go pro. All my testing was hand held and the stabiliser is very good and the results in low light were very impressive. Look at the YouTube links below and excuse the very bored children but we have been having some very bad weather and hense very bored kids. 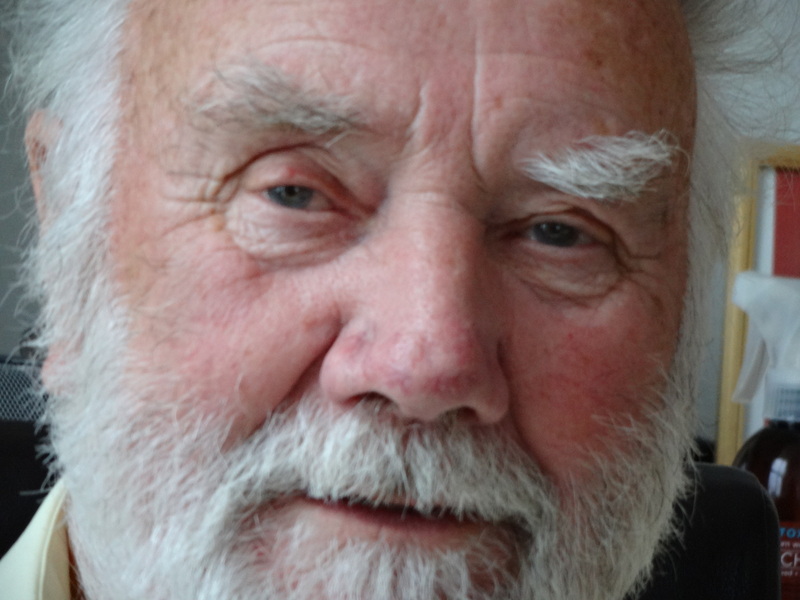 The 10 to 1 zoom is the number one strength of this device. The facility to zoom with a small device like this is a game changer. In my world more zoom equals more story. 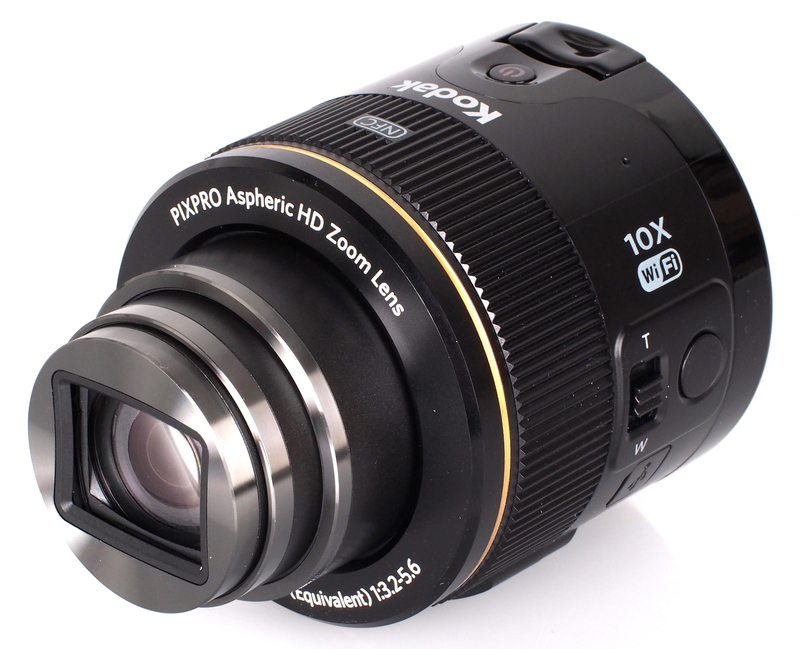 The wide angle at the beginning of the zoom is very good, shooting in small spaces will not be a problem. It connects to your device via wifi and this is also how you transfer clips onto your iPad or phone for editing so no need for wires or fiddly attachments. The facility to use the device at a distance from your hand held mobile is very interesting. I put the QX10 on a monopod and raised it to a height of around 10 feet. I was able to view the images from eye level and this produced great results. This is a function which would be very helpful for breaking news and press scrums. The battery life is not great. There is no mic input. The few buttons that are on the device are very small. In a rush it takes time to power up, disconnect your phone from wifi network and re establish connection with QX10 instead. This can take up to 30 seconds or more. Loads of time to miss an important shot. To access the micro sd card you have to screw of the phone grip, take of the battery compartment door and take out the battery. Conclusion. The QX10 is a great piece of kit and worthy to be included in a vj kit bag or as a go pro alternative of sorts. It is perfect for breaking news when the zoom can get the pictures that a normal phone lens just can’t get. However I always think that for the price (eur270ish) you might be better off investing in a small handheld camcoder, an entry level dslr or maybe even the Samsung galaxy android camera with zoom lens. The QX10 does not disappoint but my initial excitement was soon gone and I quickly went back to shooting on devices that are quicker to boot and shoot. with a crop factor of roughly 7 even the 10-30mm lens is equivalent to a 70-350mm, does camera shake become a real problem? Thanks for the review. 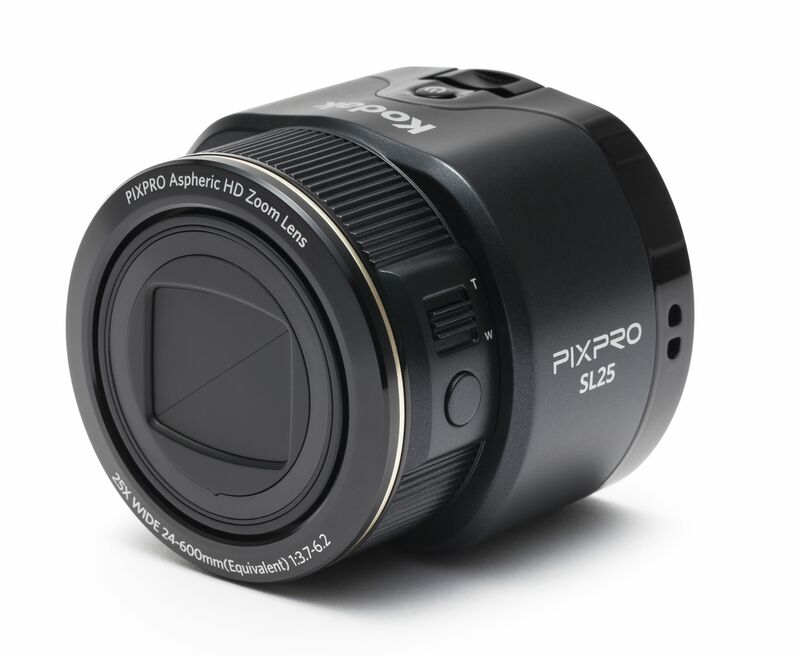 I am trying to find a solution like the QX10 that will allow the Android app I use for streaming high school sports to use the video feed from the “external lens”. Is this something that apps have to write into their coding? I figured in my simple mind that this lens would just become the camera lens and that any app could access the video being fed through the QX10 lens. But apparently this is not so. Any insight will be greatly appreciated.